The fact is that conducting legal research can be extremely difficult regardless of the sources that you might have access to. There are a number of different aspects that need to be taken into consideration when conducting legal research. This is because there are a lot of different directions that you can take with legal research, and it is absolutely imperative for you to take all factors and aspects into consideration when you're dealing with legal documents and cases since even the slightest discrepancy can amount to a lot. Without a doubt, legal research requires a lot more concentration and diligence than other types of research due to the different conclusions that are possible with minor tweaking. In fact, in many cases you may not find a single answer, but several different ones. What's more, since there's a lot more material that you need to go through when it comes to legal research, you need to be absolutely certain that your sources are not only credible and authoritative, but also relevant to the problem at hand. Legal research the traditional way - Particularly for real estate matters, "traditional" research is often required. The reason is simply that all records were in paper form in the past, and it will take a long time until absolutely all such records are online and searchable. Also, even today, many real estate documents are still signed and submitted in hardcopy. Many "recorder of deeds" offices where property records are kept nowadays offer access to electronic records. For example, the Recorder of Deeds for Cook County, Chicago, Illinois, even offers records through the website. However, because past records are so voluminous, oftentimes a search of paper files or microfiche records is required. With that said, while there are certain common and extremely popular steps that are generally followed by anyone who wishes to conduct legal research, it's important to note that these steps may or may not be followed in a sequential fashion for each scenario. This essentially means that while certain scenarios may require you to follow the steps listed below in the exact order, you may choose to play around for other cases – and that will not affect the results of your research. 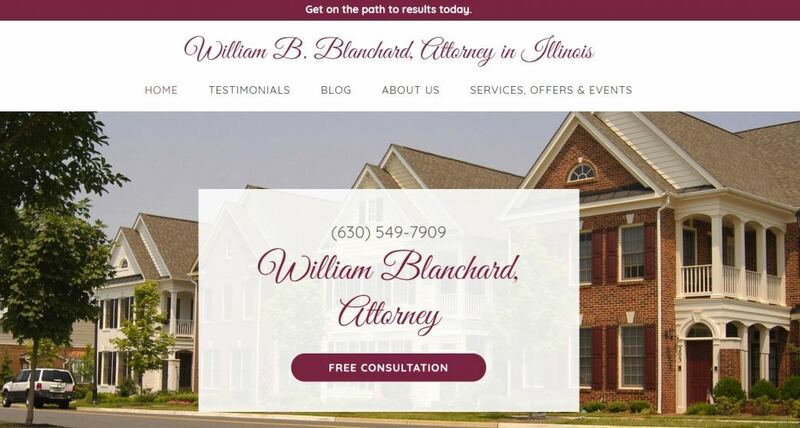 *** Mr. William B. Blanchard ("Bill Blanchard") is a real estate attorney with offices in Illinois. William Blanchard specializes in representing real estate clients for purchases and sales, as well as home owner real estate tax assessment appeals.